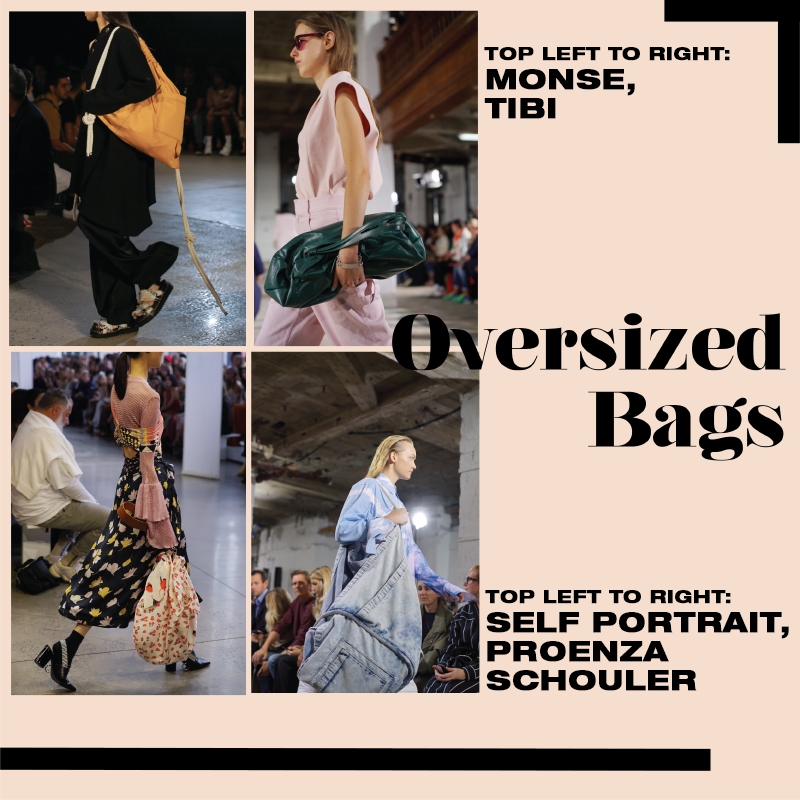 I just got back from New York Fashion Week where so many new voices and fashion veterans showcased their SS19 collection. 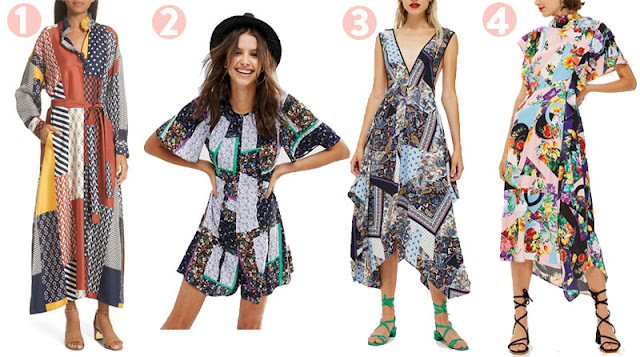 I always get so inspired after seeing the shows and want to wear the trends immediately. However, because the items shown on the runway are meant to be for the next season, it is not possible to wear the items for many months. For those who are impatient like me and want to wear the brand new trends as soon as they come out, I found 5 trends form NYFW that can easily be incorporated into your fall and winter wardrobe right now. Goodbye mini bags, hello oversized bags. I kept seeing bags over and over again this season. 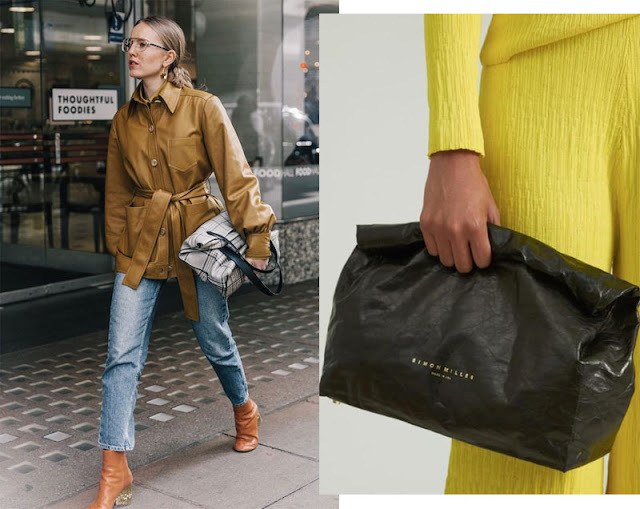 I am really excited about this trent because as much as I love my mini bags, they are not very practical for carrying things. I can now finally carry all my personal belongings while making a statement. 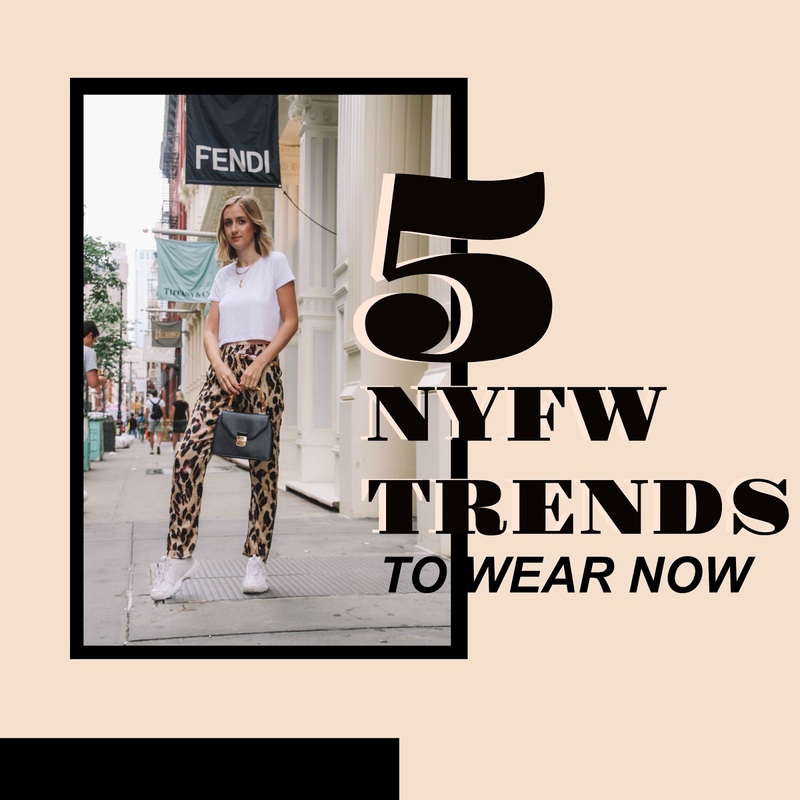 The trend was slowly introduced this summer after the cruise line shows. I especially saw them showcased in the Dior Cruise line this past season. 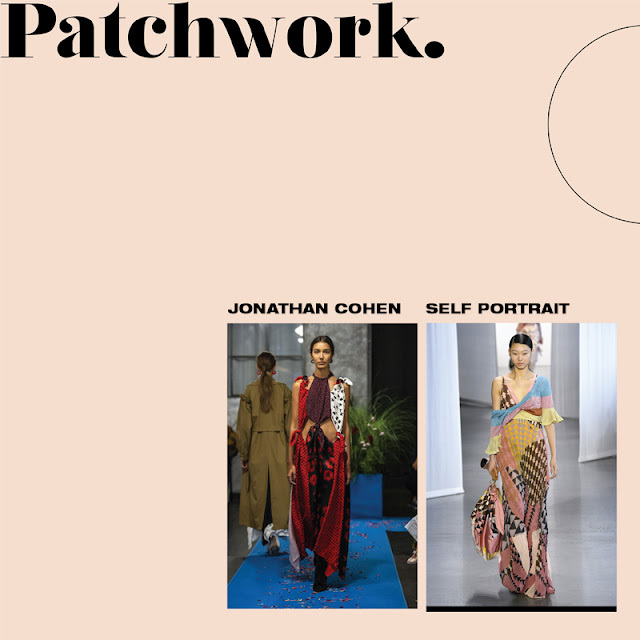 But in the shows this September, patchwork was a huge pattern trend all over the runways. 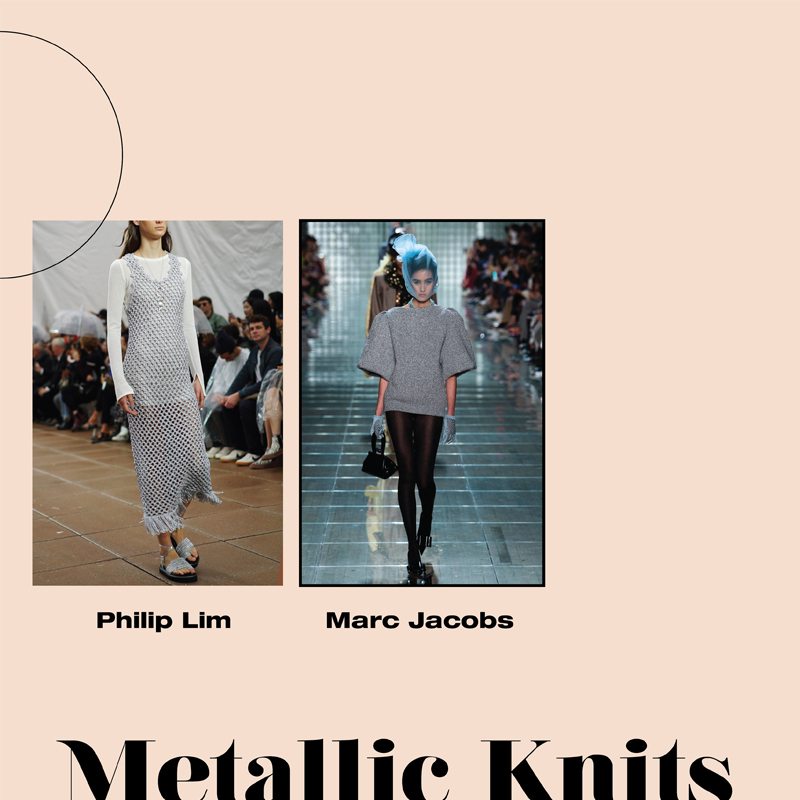 Metallic knits were a mainstay at Marc Jacobs and Phillip Lim. Incorporating the metallic texture into your outfit will make it instantly more interesting. Metallic sweaters like this from & Other Stories are a great addition to any fall or winter wardrobe and will last well into the spring. Light and white denim were all over the runway during fashion week. 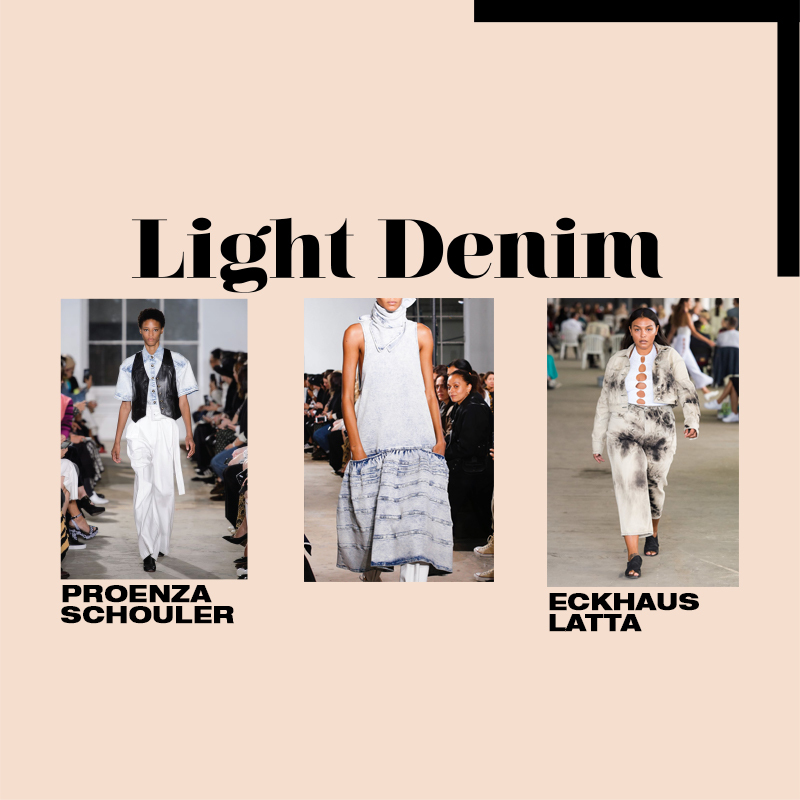 Great denim pieces are always a good investment, so i selected some pieces below for you to choose from. I have been mismatching my favorite earrings for a while now and I was so happy to see this rend on the runway. I think it makes any outfit look so special and unique. 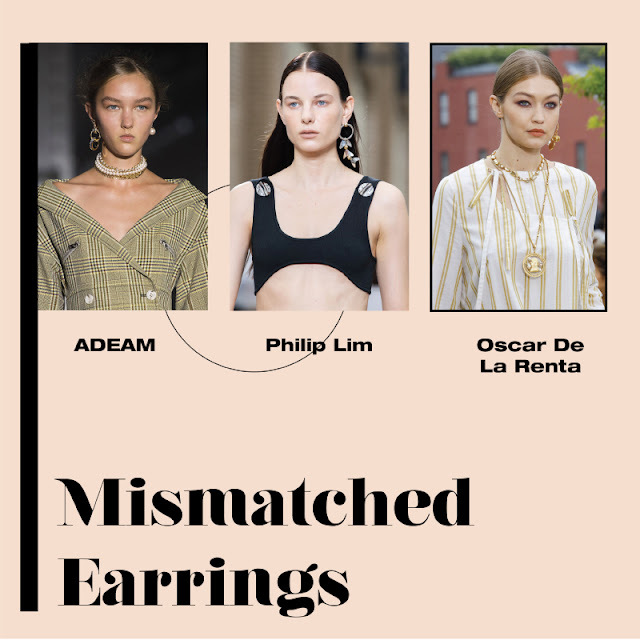 designers from ADEAM to Phillip Lim to Oscar de la Renta showcased some beautiful examples of mismatched and asymmetrical earrings. You can simply pair 2 different earrings together or these are some great mismatched earrings options.